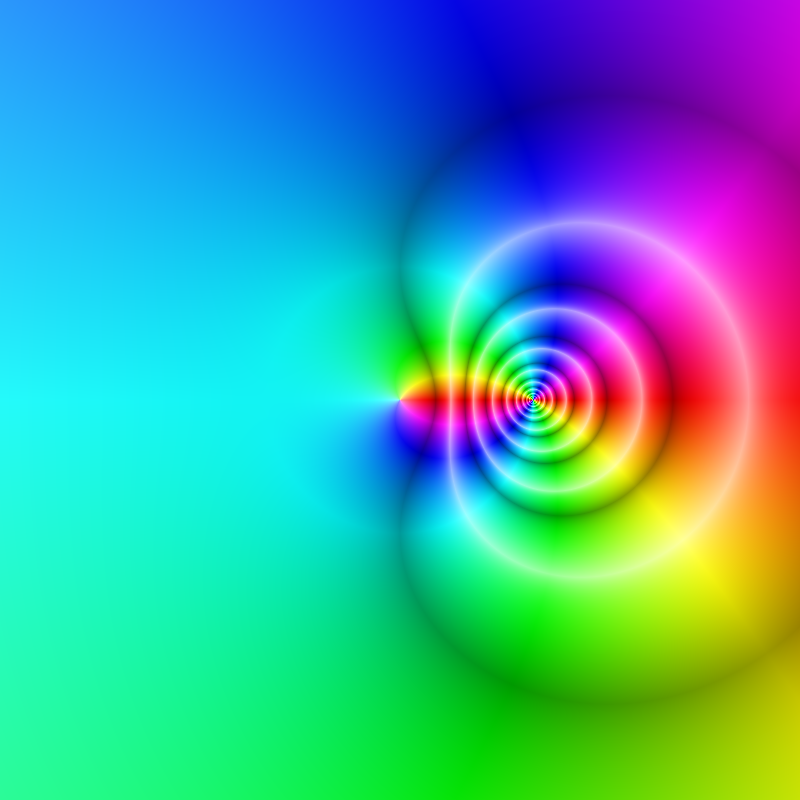 These were some graphs I generated for a graduate class in Complex Analysis. 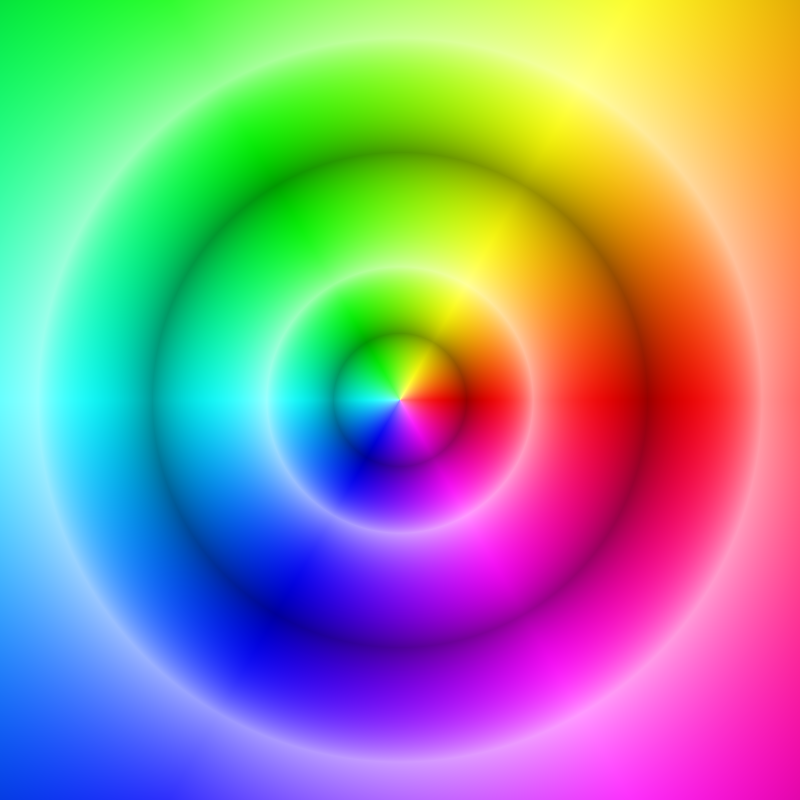 I modified a brilliant piece of C++ code written by Claudio Rocchini after laying eyes on the vibrant image featured on Wikipedia’s Complex Analysis page. His original code can be found here. In the following graphs, the brightness corresponds to the magnitude of the function being plotted; i.e. . 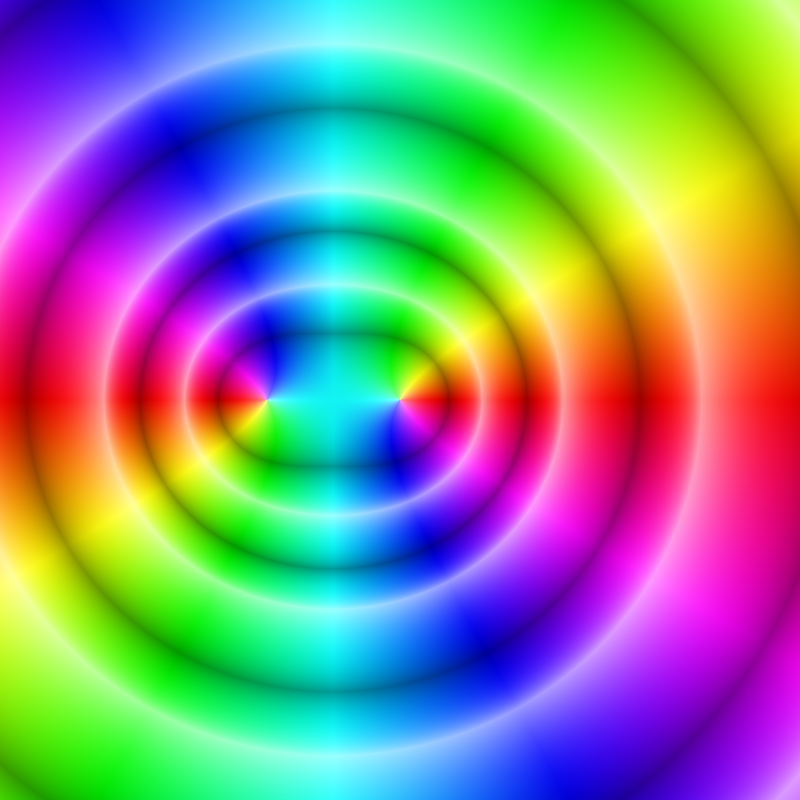 The color changes with the argument (angle) of . As you would expect, you can see a first-order pole at and zeros at . 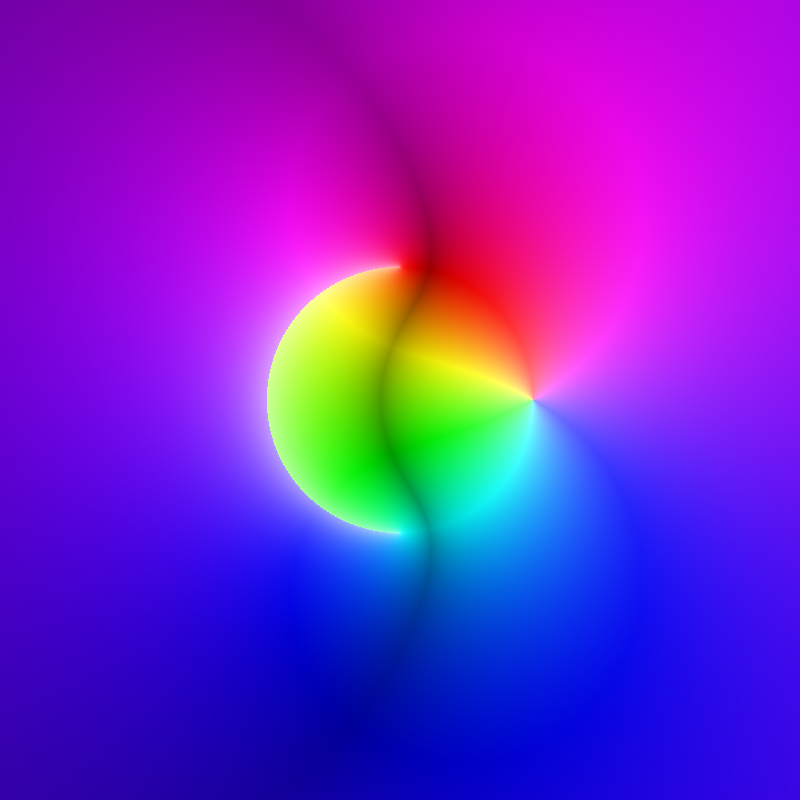 This entry was posted in Complex Analysis, Math by ndejong77. Bookmark the permalink. I have no idea what’s going on here, but that last graph is now the background for my laptop because it’s pretty and these are the coolest graphs I’ve ever seen. Thank you! 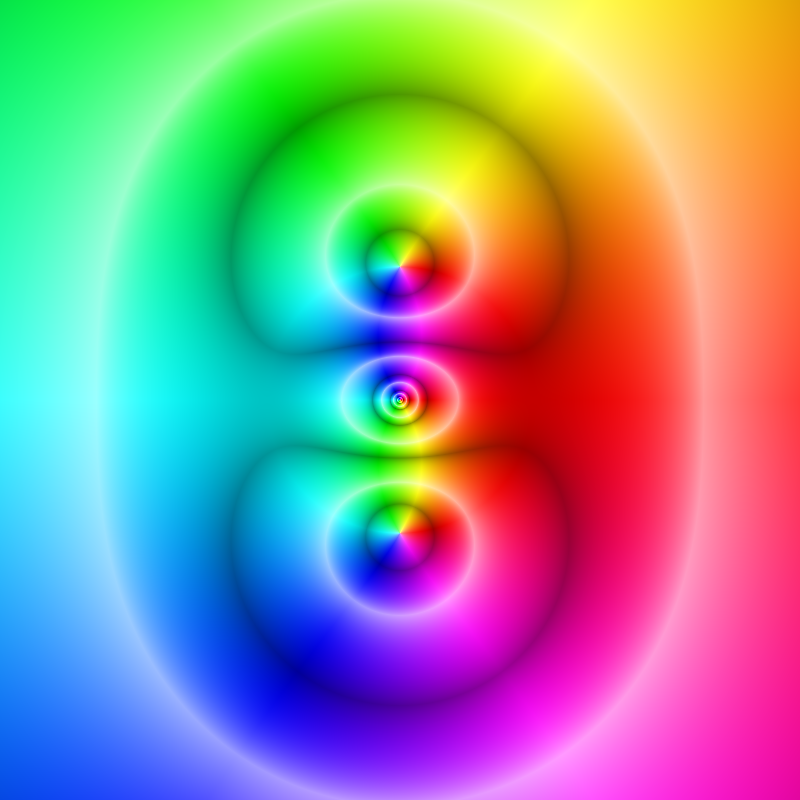 Math can be beautiful. What resolution is your laptop?